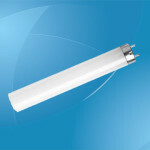 T4 fluorescent lamps may be small in size, as they measure only 12mm in diameter, but they do come in a range of wattages and lengths with them varying between manufacturers. These lamps come with two pins at either end as their fitting and the newer models are certainly far more efficient than earlier versions resulting in you saving money during the life of the bulb. The wattages that are available do vary, but the most common ones that people buy start from 6W at the lowest end of the scale and progress up to 30W at the high end with several others in between. The most popular strengths available are 10W, 16W, 20W, and 24W and the one that you buy will depend on the space that has to be lit and what your actual requirements really are. One thing you will also discover is that the number of watts in the bulb is also directly related to the size of the lamp as generally speaking the 6W is available with the shortest length and the 30W with the longest. 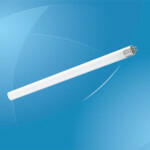 When it comes to the lengths, then there are several available for you to choose from and the shortest does tend to be 220mm in length, but they do go up to 760mm even though the smaller lamps do tend to be the most popular. The reason why they are more popular is due to the way in which they are used as these bulbs can be used in both domestic as well as commercial settings although the former is certainly the main market that is targeted by the manufacturers. 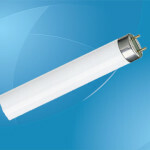 It is also worth noting the increased efficiency with these bulbs as you will tend to find that they will offer you up to 10,000 hours of light before having to be replaced and modern versions will certainly use less energy than older fluorescent or incandescent lamps resulting in lower electricity bills. Most people will then find that the bulbs do effectively pay for themselves thanks to the savings you make by installing them and this is certainly a good reason to go ahead and change to these new T4 versions. T4 fluorescent bulbs are the type that you will often find under shelves, under cabinets particularly in the kitchen, pelmets, along the edge of an item, or even as an emergency light and clearly the one you choose depends on the size of the light fitting that you have already installed. Clearly the smaller versions are going to be ideal in areas where you simply want light to highlight an area, such as under a dark cabinet, whereas the larger versions are either for larger display cabinets or a more open area since these bulbs have a higher lumens number resulting in them emitting more light. 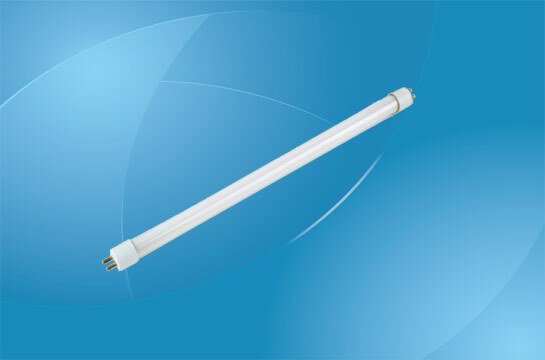 T4 fluorescent bulbs are, therefore, available in various wattages as well as different lengths and are generally used for giving light under various fixtures and fittings both in the home and in commercial settings. They are inexpensive to purchase and they will be able to offer you thousands of hours of light before needing replaced and all of this means that you will save money without it having an impact on the light you get.